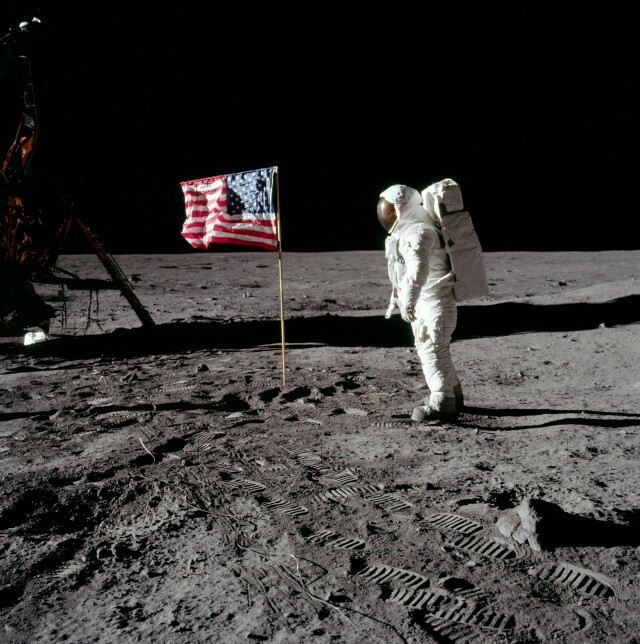 Today marks the 49th anniversary of the day mankind landed on the moon. Or landed on a Hollywood movie set, depending on whom you choose to believe! The overwhelming majority of people don’t believe the idea that the moon landing was an elaborate hoax. They have looked at the body of evidence and believe that people really have achieved the incredible accomplishment of walking on the moon. There was an even more important landing that happened about 2,000 years ago—when Jesus landed on the Earth. There are a few sceptics who doubt that Jesus ever existed. But the evidence fully supports that fact that Jesus indeed walked the Earth, that he was who he claimed to be, that he accomplished what he set out to do on this planet and that he rules from heaven until the day he returns to take his people home to their eternal dwelling place. Let us never forget that important landing! “The Word became flesh and made his dwelling among us. We have seen his glory, the glory of the one and only Son, who came from the Father, full of grace and truth.”—John 1:14. This entry was posted in Christian Living, Communion Meditations and tagged anniversary of moon landing, full of grace and truth, illustration, Jesus came to earth, John 1:14, made his dwelling among us, moon landing, the Word became flesh. Bookmark the permalink.